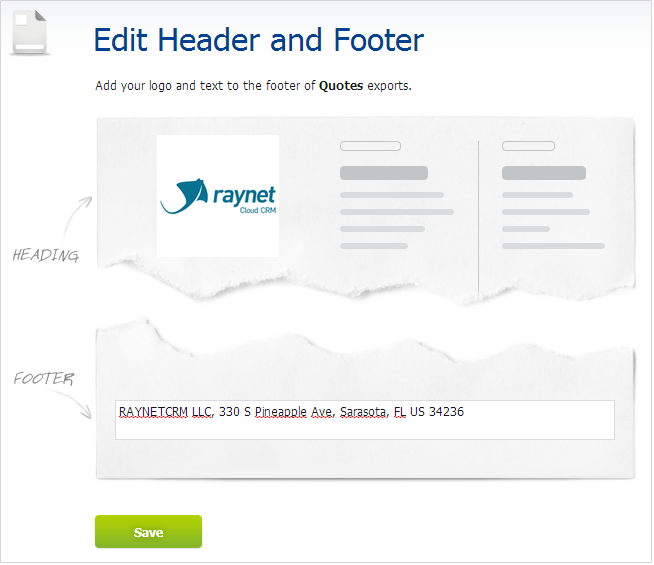 Do you want your logo, address and other information shown in the exported quotes? If so, edit the header and footer according to your needs. 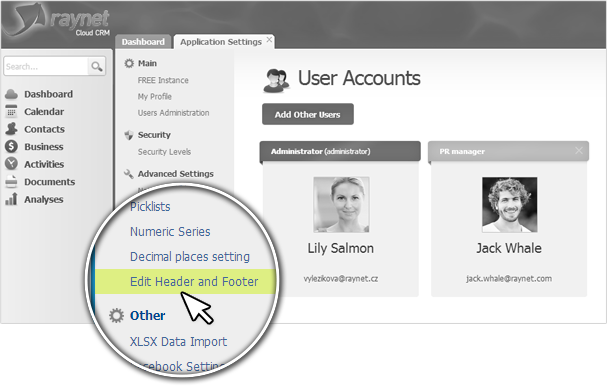 Only a user with an Administrator role can access the header and footer settings. Select the Edit the Header and Footer option. Upload your logo, type in the text of your choice into the footer, e.g. your account address, and save the changes. The logo and written text will be shown in the Quote exports.